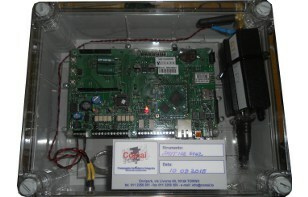 The SMIT-ICE fgas stations have been created for real control of the cold production plants, remotely via WEB link, of the main parameters, and signaling the system anomalies by SMS or email. The SMIT-ICE f-gas stations have been created to obtain real control of the cold production plants, remotely via WEB link, of the main parameters and report via SMS or e-mail the system abnormalities. They can be integrated with main dataloggers such as SK SMIT-BIT, ANYLOGG datalogger, DA3000 data logger and communication can be wired, wireless or modem. Go to the datalogger page for more info.